Imagine being able to find all the great public art in the world, and then finding out all about it! After more than a year of development, The PublicEarth Project is proud to announce the launch of a new website –www.publicearth.com. PublicEarth is “the Wiki for Places,” and is dedicated to delivering interesting, unique and up-to-date place information in a personalized way. 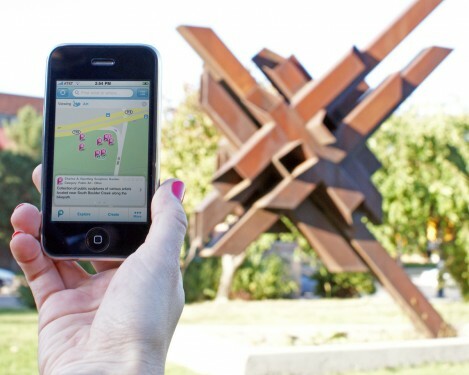 PublicEarth offers an ever-expanding database of nearly 5 million places, across 400 categories — including public art. David Hose, the Chairman and CEO of PublicEarth and a long-time veteran of both geographic information systems and the mobile industry, saw a need for a comprehensive database of detailed long-tail information, and wanted to connect it systematically with more popular searches. Ultimately that data should flow to all of the worlds’ GPS devices, mobile phones and mapping applications. PublicEarth has spent the last year working with numerous ’special interest’ communities, providing features they requested, and helping them incorporate their specific information needs into the database. Their goals were to expose their unique content to a broader audience, and make it more accessible. For instance, PublicEarth offers simple widgets that allow communities to bring their content back to their own websites, but also add value by connecting it to complimentary and relevant nearby places. A broad variety of communities have been working with PublicEarth, including: Trailer Life Directory, the most complete listing of RV parks in North America, and sister organization of the GoodSam Club; Ghosthound.com, a listing of haunted places throughout New England; and Forecast Public Art, publisher of Public Art Review, the respected source of information on public art worldwide.